Buttermilk pancakes should be light and fluffy, and oozing with buttery flavor and goodness. 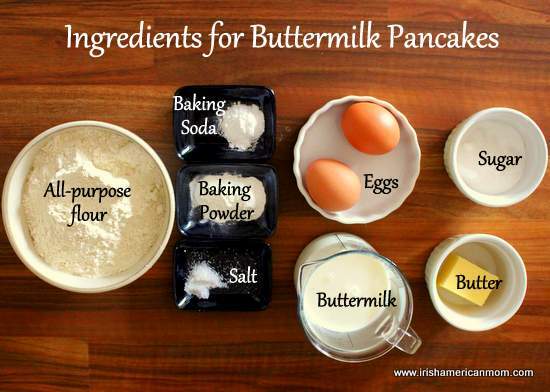 Since buttermilk has always been widely available in Ireland, even in centuries past when food sources were limited, Irish mothers perfected the art of cooking buttermilk pancakes. 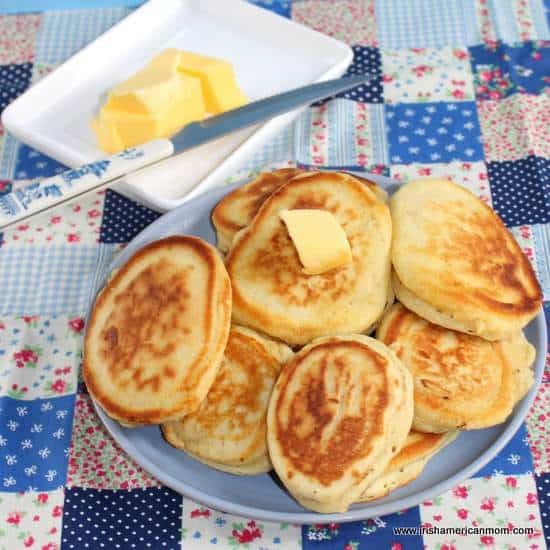 Pancake Tuesday is very early this year, but whichever week it may fall in the calendar, Irish mams will be beating batter all across the country tomorrow. Some prefer a crêpe like pancake served with lemon juice and sugar, but many will make tried and true traditional buttermilk pancakes. They are delicious served warm from the pan with butter and honey, or fruit, or jam. Here’s how I make them…. I prepare the wet and dry ingredients in two separate bowls. First sift the flour, baking soda, baking powder, and salt into a large mixing bowl. 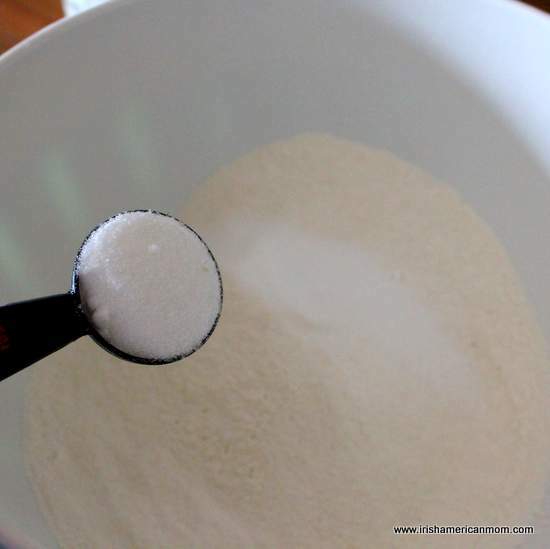 I know many people skip this sifting step and just toss the dry ingredients into the bowl. 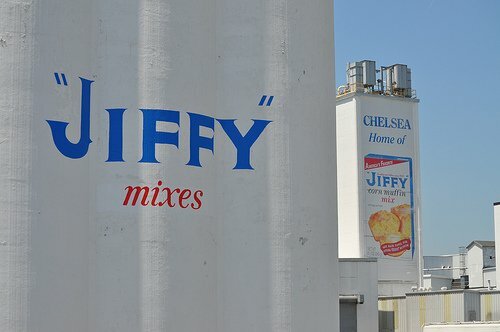 However, I believe the sifting process distributes the raising agents more evenly throughout the flour, and a little bit of air gets incorporated also, for lighter, fluffier pancakes…… just my “Geary Theory” on the whole process. Next, toss in the sugar, and mix through the dry ingredients. I only add a small amount of sugar, and to many Irish cooks this may be sacrilege. Irish buttermilk pancakes from days gone by probably never saw even the tiniest pinch of sugar, since sugar was such a prized and expensive commodity. But in these days of plenty, I add just a little bit for my sweet tooth. But not too much, mind you. There’s nothing worse than an overly sweetened pancake topped with sweet honey or syrup. Next I take another bowl or pitcher or jug or whatever you wish to call it, and add the buttermilk and eggs and beat them together. Now I know many of you will say I used one egg too many in this recipe. If your eggs are very large, use just one. I cracked two medium eggs into the buttermilk, since I like to convince myself I’m getting a little bit of protein into my picky eaters, whenever I make these pancakes. Too much egg will run the risk of a heavy batter, and won’t produce light and fluffy pancakes. Before I mix the wet and dry ingredients I put my cast iron skillet on to heat. The oil can warm up and the butter melt as I’m mixing the batter. You see, buttermilk pancakes must be cooked pretty quickly after mixing. The buttermilk is acidic and starts to react with the baking soda the moment they come in contact. And for that simple reason I heat my griddle or skillet or whatever you like to call your pancake pan, before I mix the batter. You can use oil alone, or butter alone for cooking your pancakes, but I find a combo of canola or rapeseed oil, with a small knob of melted butter works perfectly. The oil allows for high heat cooking and the little bit of butter adds lots of extra flavor. Next, I pour the buttermilk and eggs into the dry ingredients. Mix them together GENTLY. (Sorry for using upper case or capital letters. I don’t mean to shout, but I have to get my ‘gentle on the batter’ message across somehow). Buttermilk pancake success is all in the mixing or the lack therof. Whatever you do, don’t batter your batter. Overmixing to a completely smooth consistency just does not work. If you simply mix the ingredients together until combined, your pancakes will be light and fluffy, even if the batter looks a little lumpy. You see, once the buttermilk hits the baking soda, they start reacting and releasing gas which will help your pancakes to rise. If you overbeat the batter all that rising power gets lost, literally going up into thin air. Next I add the melted butter, and combine gently into the batter. 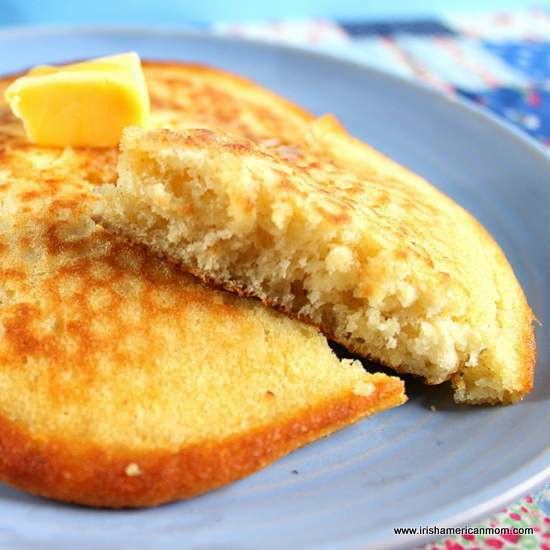 Many recipes for buttermilk pancakes only use butter in the skillet for cooking, but I find a little bit of melted butter in the batter, adds loads and loads of flavor. Next drop the batter into the skillet in small circular blobs. 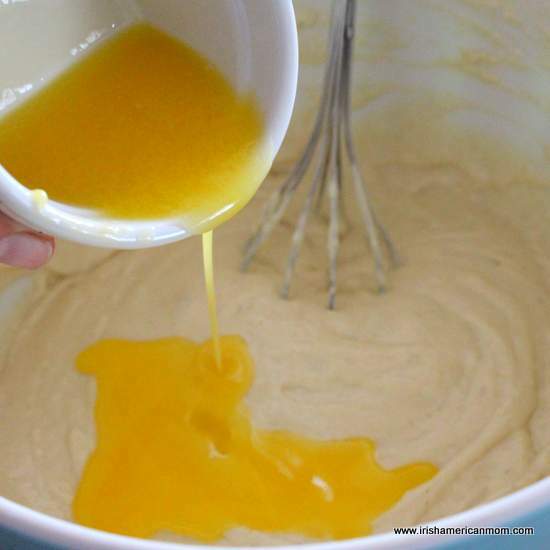 I use my 1/4 cup measuring cup to drop just the right amount of batter. I scoop some up and only what drops onto the skillet is what I use. No scraping the sides of the measuring cup required. 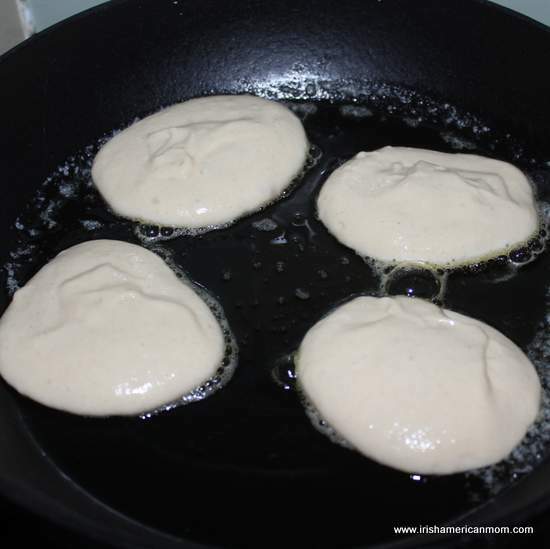 Cook the pancakes for 2 to 3 minutes on the first side until small bubbles start to rise to the surface. Flip them over and cook them for another 2 to 3 minutes on the second side. Here’s a bigger pancake I cooked in a 7 inch-round cast iron skillet, which is perfect for individual serving sized pancakes. Cook the pancakes in batches until the batter is all used. 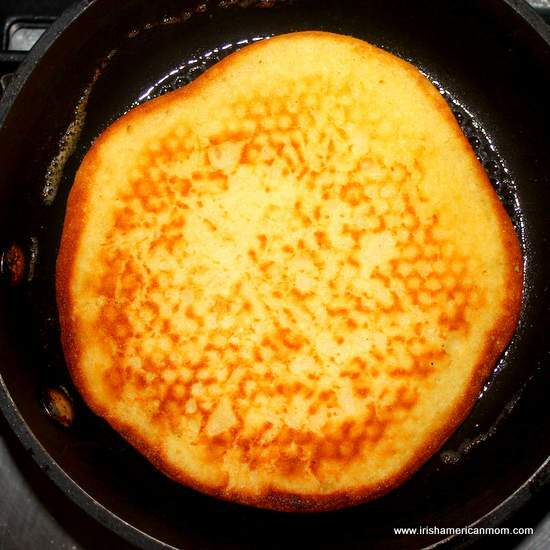 This recipe yields between 6 to 8 large pancakes and about 24 small pancakes. Cook all the batter at one go. Don’t be tempted to save the batter in the fridge for cooking later. The buttermilk and baking soda work their magic straight away, so if the batter sits for too long, your pancakes will literally be “flat as pancakes”. No light and fluffy center to savor. Stack them neatly if you wish, or I just toss them onto a plate with a little butter for melting on top. 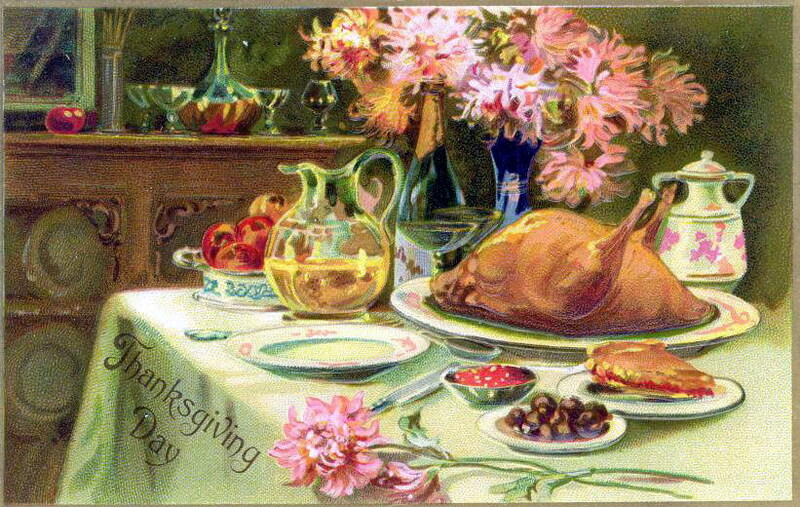 Or you can serve them with butter and a little honey, or a massive, soaking dollop of maple syrup. Whatever you fancy on top is just fine. 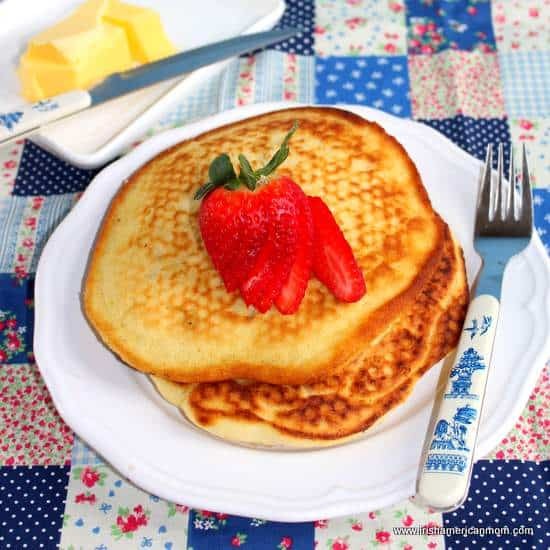 Slightly warmed maple syrup – now you’re talking perfect pancake toppings! My years in America converted me from a butter and jam pancake kind of girl, to a maple syrup loving, pancake gal. Take a look at the light and fluffy insides of these pancakes. 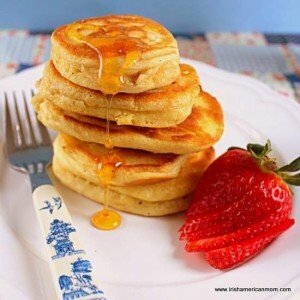 Perfect buttermilk pancakes, hot out of the pan! You just can’t beat them. 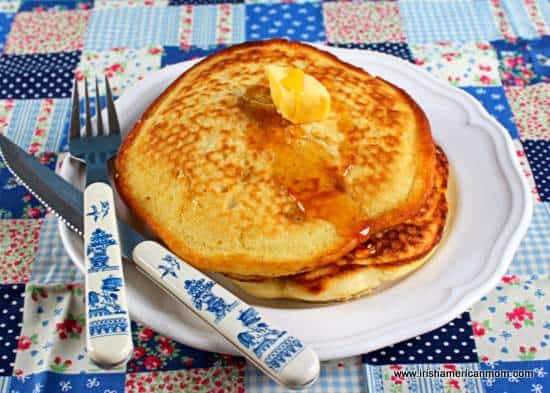 Whether you like your pancakes with fruit or honey, butter or jam, or a little bit of everything, these simple pancakes are delicious every which way, and a grand way to celebrate Pancake Tuesday. I hope you all have a lovely Pancake or Shrove Tuesday. Sift the flour, baking soda, baking powder and salt into a large mixing or batter bowl. In a separate bowl or large pitcher combine the eggs and buttermilk. 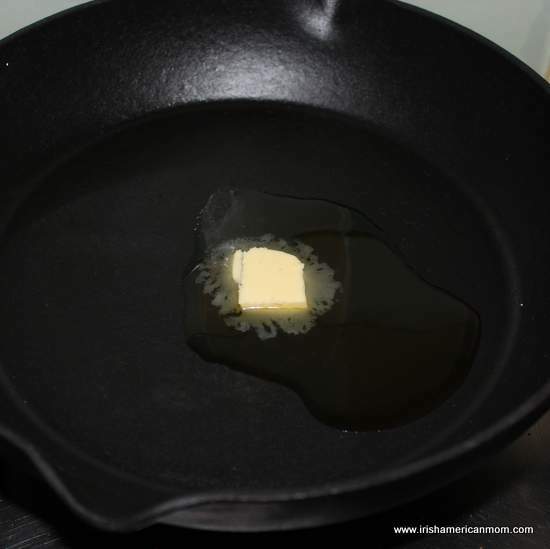 Place a skillet over medium to high heat to warm before mixing the batter. Add oil and a knob of butter to melt. 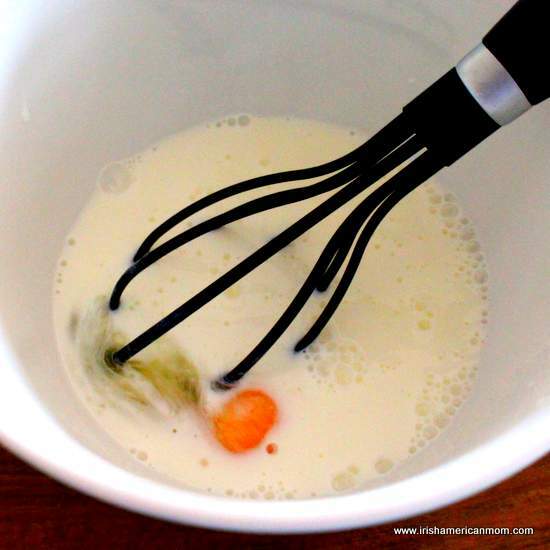 Pour the buttermilk and eggs into the dry ingredients and gently mix together. Add the melted butter and combine gently. Spoon he batter onto the hot pan and cook for 2 to 3 minutes on the first side until small bubbles start to form on the surface. Flip the pancakes over and cook for an additional 2 to 3 minutes on the second side. Remove from the pan and serve warm with butter, jam, honey or syrup. And here’s the printable recipe for readers on the Irish side of the Atlantic. This one includes both metric grams, and the old tried and true imperial ounces. 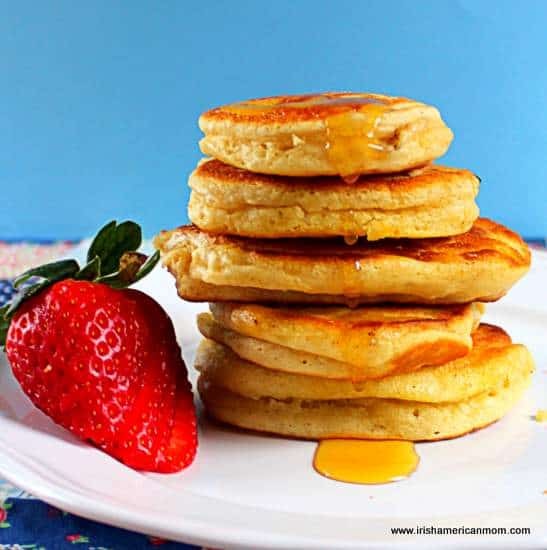 Irish buttermilk pancakes are delicious served warm from the pan, with butter melting on top and a spoonful of honey. 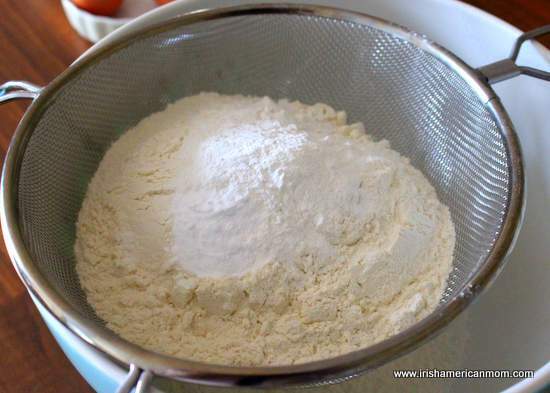 Step 1 Sift the flour, baking soda, baking powder and salt into a large mixing or batter bowl. Step 2 In a separate bowl or large pitcher combine the eggs and buttermilk. 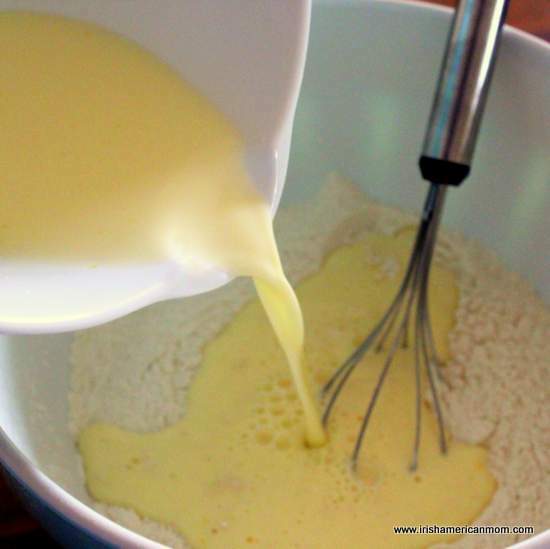 Step 4 Pour the buttermilk and eggs into the dry ingredients and gently mix together. Step 5 Add the melted butter and combine gently. Step 6 Spoon he batter onto the hot pan and cook for 2 to 3 minutes on the first side until small bubbles start to form on the surface. Step 7 Flip the pancakes over and cook for an additional 2 to 3 minutes on the second side. Step 8 Remove from the pan and serve warm with butter, jam, honey or syrup. You can check out all my pancake recipes here. OH, yum, Mairead! I know what we are having tomorrow! Hi Patricia – Happy pancake making tomorrow. My kids are so excited about the. I’m getting orders for many varieties. Hmmm, I do have some blueberries in the fridge…might have to throw some in! Great idea. Happy Pancake Tuesday to you and yours. 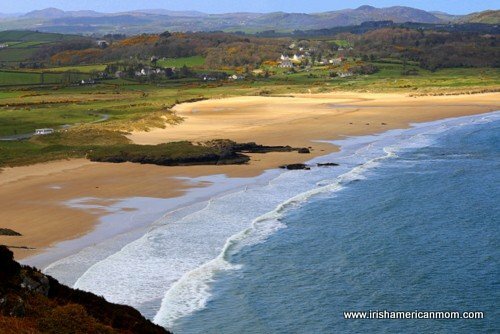 Hi Irishannie – I’m so glad you like my recipes. Enjoy your pancake day tomorrow. These look freaking PERFECT! Love this recipe!! Thanks so much Rahul. Your recipes look delicious too. I’ll definitely check out your website. These look lovely Mairead, I never made them this way, must do it tomorrow, thanks for the lovely recipie. 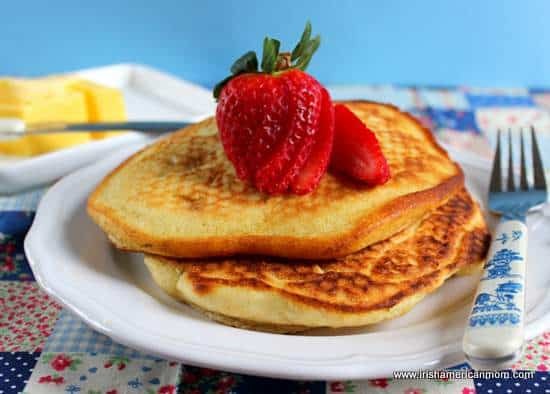 Hi Maureen – My mom always made crepe like pancakes with lemon and sugar, but my husband’s mom always made buttermilk pancakes on Pancake Tuesday, so now I have to make both kinds. Enjoy your pancakes today. 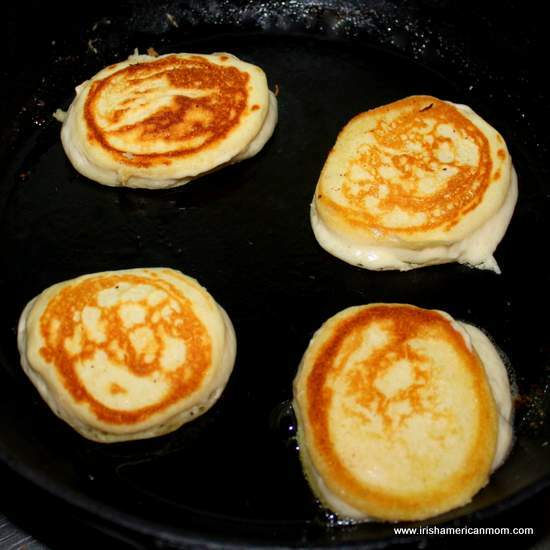 Hi Margie – I would never have dreamed of making pancakes in a pizza cooker – thanks for a fantastic tip. eating waffles and pancakes with jam or jelly but all of my friends thought it was weird! As much as I love maple syrup I just can’t put it on pancakes. Into my oatmeal it goes! Happy Fat Tuesday. Hi Penny – Our love of jammy pancakes must be an Irish thing. Hope you enjoy Pancake Tuesday too. 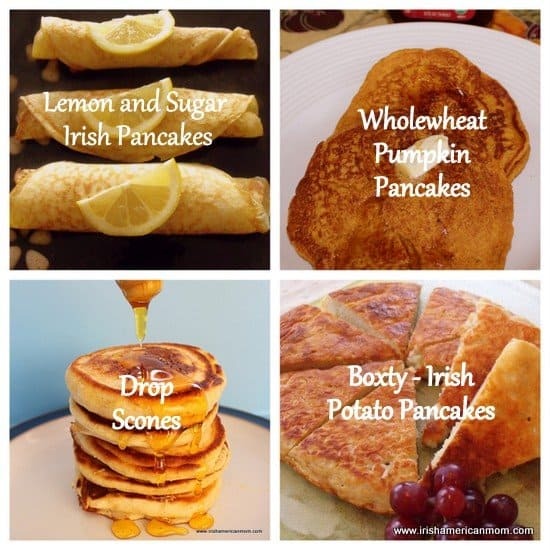 I just learned about Pancake Tuesday from my Irish friend this week. I can’t believe I never heard of it before! And I educated her on what Fat Tuesday was. It’s basically the same thing. People eating before they have to give it up for Lent. I asked her if they used maple syrup over there as I think of it as a New England/ Canadian thing. She said they only started getting it over there about 15 years ago. Then she explained about the lemon sugar thing, which I had never heard of before. Now that you explained the crepe vs buttermilk pancake , I have to wonder which one she was talking about. Do restaurants in Ireland feature them on the day? 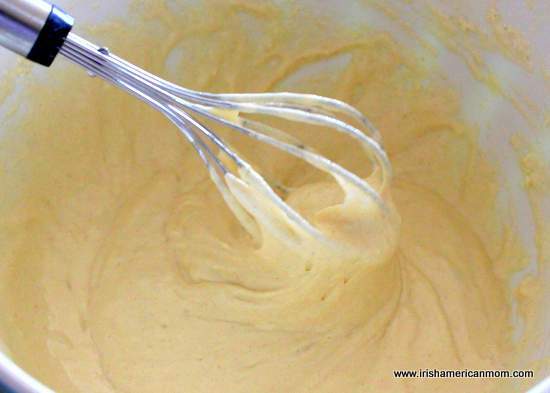 Most restaurants in Ireland don’t go overboard with pancakes on Shrove Tuesday – this tradition is carried on at home, with Irish mothers whipping up pancake batter all over the country. And I suppose a few dad’s get into pancake flipping mode also. Lemon and sugar is used for crepe like pancakes only. Buttermilk pancakes tend to be served with butter and honey. 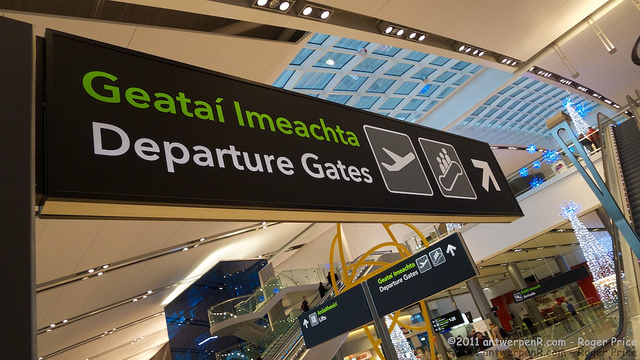 And now that maple syrup is available in Ireland, many people choose it over honey. Hope you had some nice pancakes for your Fat Tuesday celebration. They look just perfect – light, fluffy, and full of flavor.